What to do when pieces are missing? A bit disappointing for my daughter. We are sorry about the missing part in the set. Please contact us at office@cobi.pl - please write there what part is missing and your exact address and we'll gladly send you the spare part so that your daughter can finish building the set. Please send greetings to her from COBI! My name is Oskar Johansson and i collect these particular set and this one is one of three im missing. Im just wondering were i can order/buy this set. If i could get a answer i would be really happy. Thank you for your message. It's nice to hear you collect the ferries! 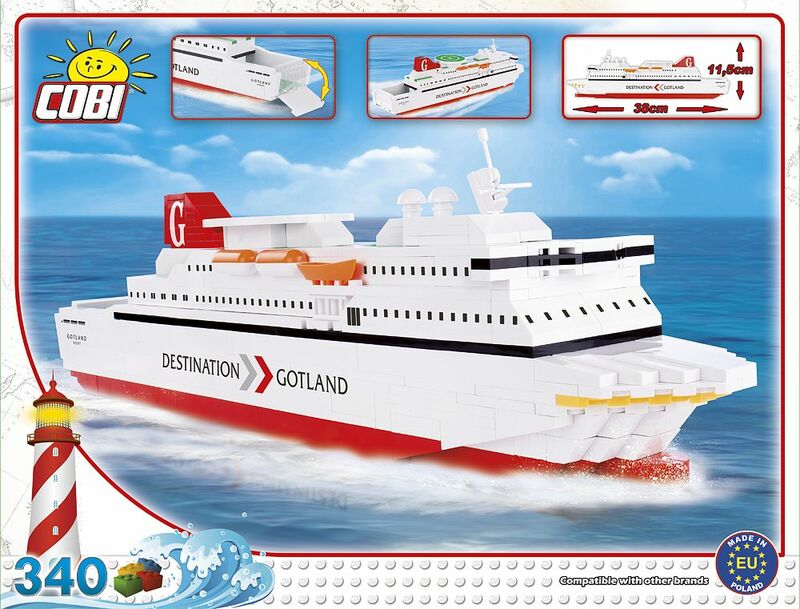 All ferries are customised projects and, as you probably know, can be bought only on board of those ships. We do not sell them, so if it was out of stock, I'm afraid there's no other way to get it. I'm sorry I couldn't help more. I forgot to say. 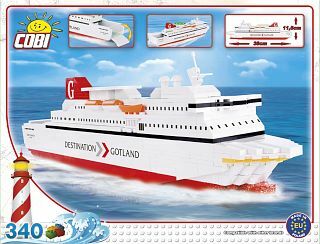 when i went on the actuall ferry it was out of stock. Hello. My name is Tobias, and I were looking after this model to my daughter who love ships. Were can I Buy one of those models from you and how much? And I bought the model of Titanic earlier this year and it were a really great model! 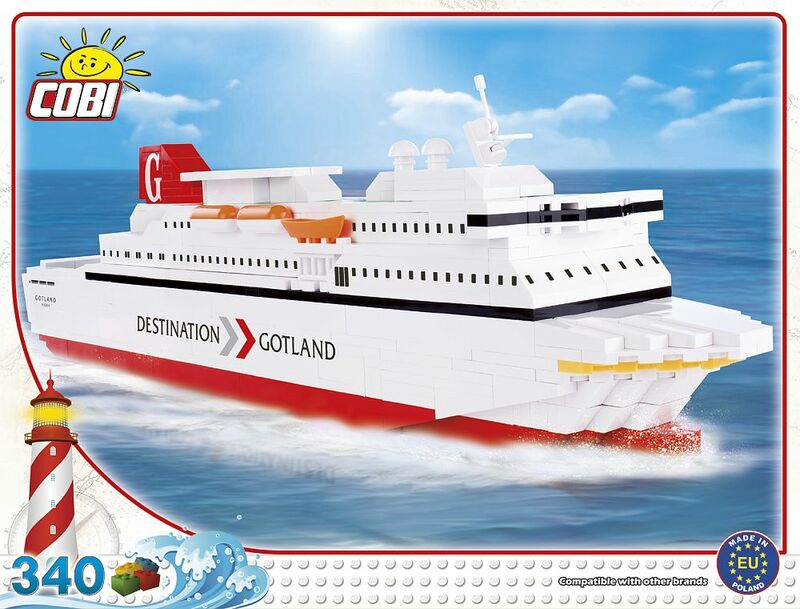 Thank you for your interest, we're pleased to hear your daughter loves COBI ships. 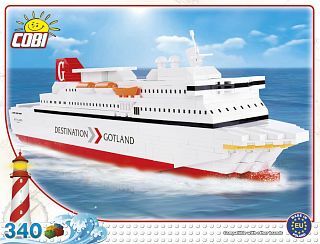 The model you are asking about was a customised project and you can buy it (and all other ferries) only on board of this ship. A really great model! We had a lot fun building it and our 5-years old has a lot fun playing with it. And many thanks again for the spare lifeboats when one of our got lost! We like Cobi! Thank you very much for your comment. We are very happy to hear that we could help you. Please say hello to your son. Great model! This one is the most accurate I think! We are very happy to hear that you like our set. Have fun playing with COBI blocks.